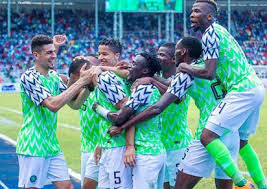 It was an interesting encounter between the Super Eagles of Nigeria and the Iceland boys in their second leg group D match on Friday evening. The star of the match was Ahmed Musa who gave the Eagles two classic goals. Hopefully they will be able to live up to expectations in their next match against Argentina. Even with a draw they should be good to move on to the next round. Kudos to the Super Eagles.